Cape Cod 5 provides high-quality banking services to individuals and businesses with capital reinvested locally. 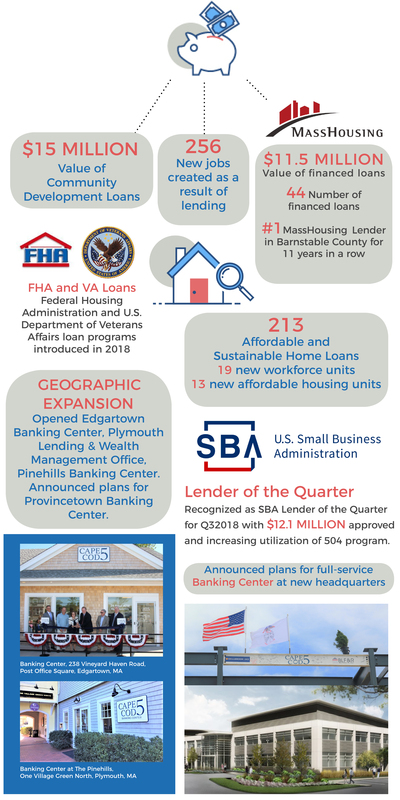 Deposits fund loans and mortgages promote homeownership, support economic growth and create jobs. Click here to find out about Cape Cod 5's new headquarters, which will include a new full-service Banking Center.